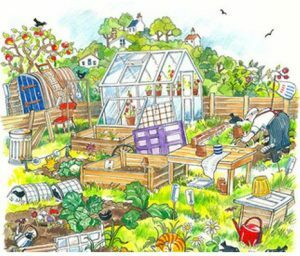 Windmill Hill Garden and Allotment Association (WHGAA) is a voluntary non-profit organisation, established on the 12th April 1976 by allotment holders in West Bletchley. Our main activity is to run a trading hut for our members. We bulk-buy a wide range of gardening products like plant seeds, composts and fertilisers etc, to sell back to our members at reduced rates. If you would like more information on joining the association call into the hut during opening times or email us on Email Me and we will get back to you.